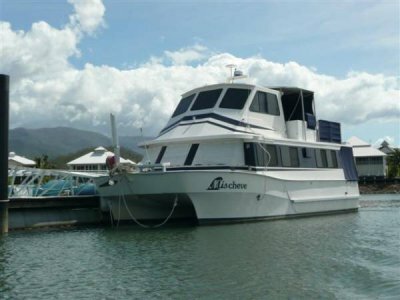 This brand new 12m power catamaran is nearing completion and is to be sold as the owner has other commitments. 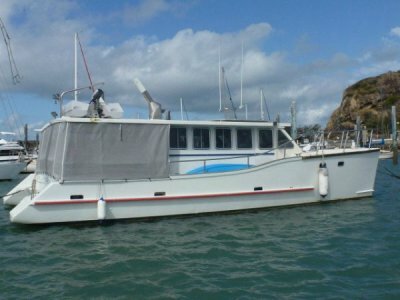 The owner / builder is a qaulified shipwright and has taken great care in constructing this vessel as it was to be his own private live a board. 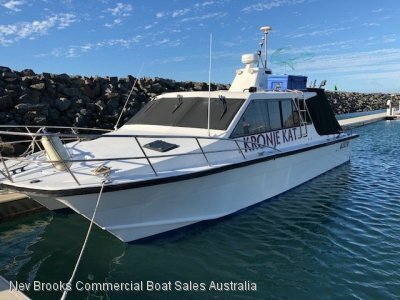 The boat can be purchased completely finished for the asking price below or 95% finished for a reduced amount to be negotiated. It only needs some minimal internal work to be complete. 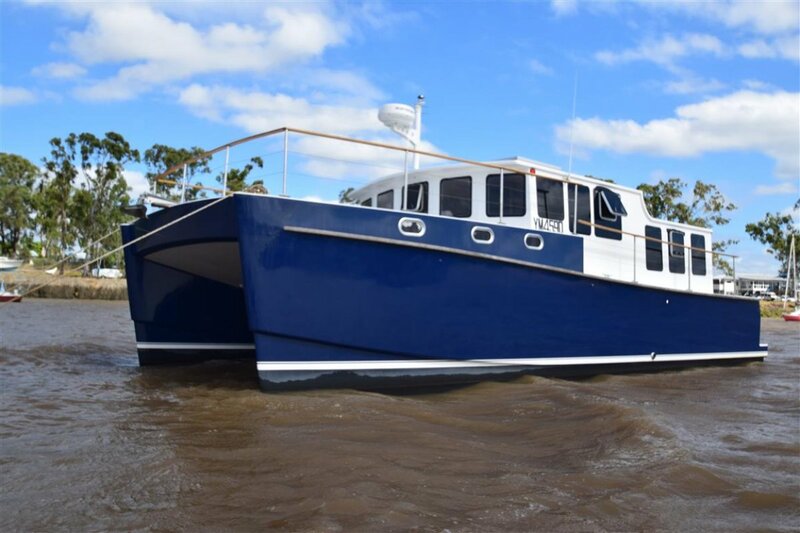 Powered by twin 94hp Styer diesel engines through shafts with thrust bearings. These give a top speed of 21 knots and a cruise of 15 knots at 15 lph total. Digital engine managment system with drive by wire controls. King size owners berth plus a Queen size and a single. Full inventory below. 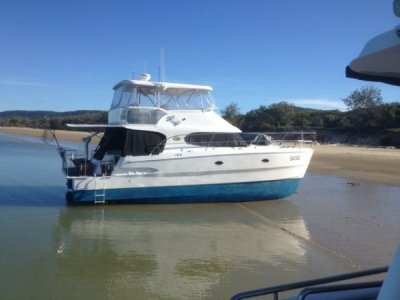 WILL TRADE A SMALLER BOAT TO $100,000. Marine ply with epoxy over and under. All floors and ceiling insulated with 50mm batts.